Goji berries are one of the most nutritionally-rich fruits on the planet, packed with vitamins, minerals, protein and antioxidants. What are goji berries and what are their health benefits? They are bright orange-red and comes from a shrub native to China. They have been in use for at least the last 1,700 years. First used by the Tibetans in China, they have become a staple in not only in Eastern cuisine, but also Eastern medicine. In Chinese mythology, they are known as the fruit of immortality. Even today, Chinese medicine uses them to treat liver, immune system, circulation problems, and more. Another name for them is the wolfberry. Gogi berries taste like a combination of cherries and cranberries and is a delicious superfood! They are considered a great source of protein and regarded as a top longevity and strength-building food. 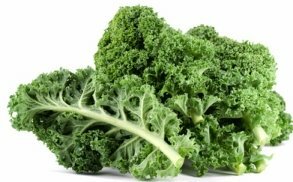 They contain calcium, copper, iron, zinc, 21 trace minerals, and 18 amino acids. In their dried form, they have a mild sweetness and are slightly chewy. Some folks like them reconstituted in hot water first. When they are reconstituted, they takes on a hearty sweetness. Over time, people have used goji berries to treat many common health problems like diabetes, high blood pressure, fever, and age-related eye problems. They are eaten raw, cooked, or dried (like raisins) and are used in herbal teas, smoothies, soups, juices, and medicines. They may help enhance the immune system, improve your eyesight, and help protect the liver. They are also extremely high in Vitamin A. 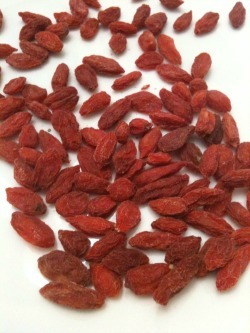 The benefits of the goji berries are they are filled with powerful antioxidants. They are considered the world's most powerful anti-aging food and contain 3x the antioxidants of pomegranates! They contain 8 of the 9 essential amino acids and have 18 amino acids in total. They contain more Vitamin C per ounce than oranges. Vitamin C is especially helpful in keeping a healthy immune system and cardiovascular health. There may be some possible herb-drug interactions. If you take warfarin (a blood thinner), you may want to avoid goji berries. They may also interact with diabetes and blood pressure drugs. When eaten in moderation, they appear to be safe. They are delicious added to your trail mix or raw yogurt. For a simple trail mix recipe, combine 1 cup of your favorite nuts and seeds, 1 cup of berries, and 1 cup of granola. They can also be an unexpected addition to your raw soup. Add to your tea for a soothing drink. Make raw Chocolate Covered Goji Berries! For a sweet chewiness, add them dried to your green smoothie. Add to a raw oatmeal porridge. Add a small amount of them to your salad.